Our Implant Jaw Model is demo traction of teeth crowding with metal brackets that includes teeth hopps for correcting themalocclusion. Orthodontic Jaw Model offers great help for the students who are studying dentistry or doing research on orthodontic treatment. 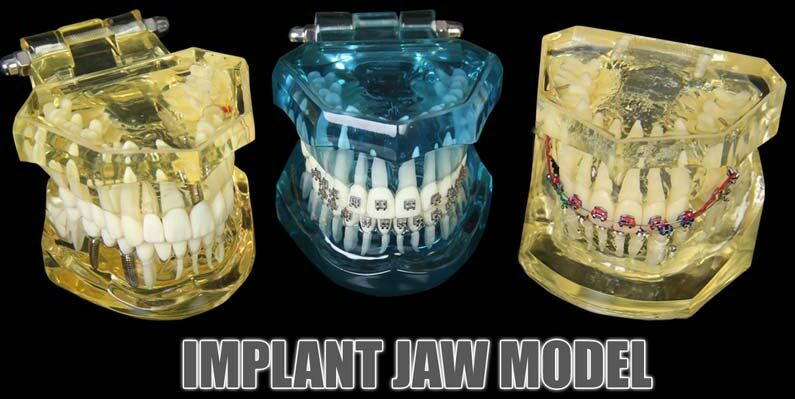 Implant Jaw Model, offered by us, provides a complete demo of separators, ligature ties, buckle tubes, bands, etc. This Implant Jaw Model is with bone and caries and is ideal for implant treatment planning and discussion with the patients.